Traveling During The Holidays? Stay Sane With These 5 Tips. Planning on doing some traveling this holiday season? You aren’t alone. Millions of Americans are planning on heading somewhere different for the holidays this year. There are a variety of motivations for people to pack their bags just as Santa’s packing up his sleigh; these include visiting family, relaxing on a beach, hitting the slopes or exploring the sights in another country. But regardless of where people are going (and why), travelers should take some steps to avoid any vacation-related speed bumps. Here are 5 tips that can help you keep your sanity when preparing for holiday travel. 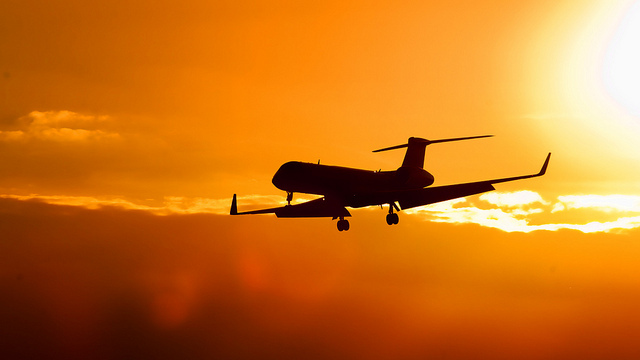 You likely won’t be flying off into the sunset for the holidays if you don’t buy your plane tickets ahead of time. 1. Ensure you make it to point B. Planning on jetting off to a far away destination? It’s kind of hard to get on an airplane for your big trip without a boarding pass. If you still haven’t booked your flight, make sure you do so. Last-minute plane tickets tend to be sky high year-round, but they’re especially pricey during the holidays (when there are fewer flights with open seats to begin with). If you’re driving in your own vehicle for vacation, you’ll want to be prepared as well. Make sure your vehicle is in tip-top shape for a big trip, so you can reduce your likelihood of breaking down on the road. Also make sure you have enough gas in the tank (or know where to fill up en route). Expect to deal with extra traffic during the holiday season. Whether you’re flying to another city or driving out of town, you’ll most likely have to deal with traffic on your trip. Airports are overloaded with flights, and this can lead to some takeoff delays for planes. And the roads to and from the airports you fly between will likely be busier than usual. 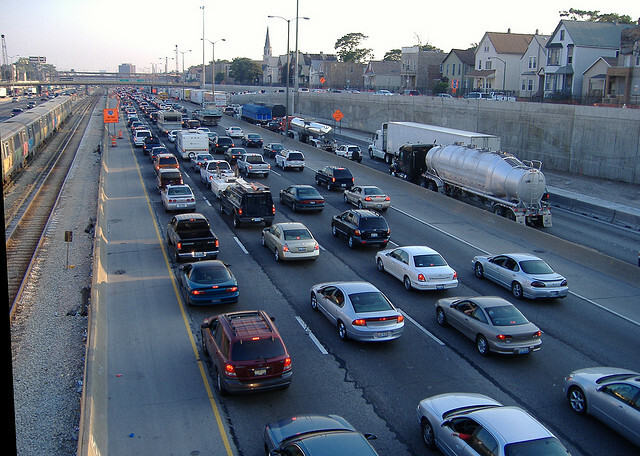 Traffic can be an even bigger issue for those making a getaway by car or truck. With so many people getting on the roads out of town, factor in a few extra hours of drive time — particularly if you’re traveling on a highway that goes through several large cities, such as Interstate 35 in Texas or Interstate 95 in the northeast. Make sure you have somewhere to sleep when you’re planning holiday travel. Whether you’re staying with your relatives, with friends or at a hotel, ensure that you have all the necessary arrangements in place ahead of time. With so many people traveling this time of year, finding a hotel room last minute can be a dicey and pricey affair. And the dead of winter is no time to be sleeping in your vehicle. Even if you’re going somewhere warm and sunny for the holidays, make sure you have some cold weather traveling clothes. The holiday season is one of the coldest times of the year. Unless you’re heading to a tropical destination, you’ll likely be loading up on coats, sweaters, boots and other cold-weather outerwear. These items take up quite a bit of space in your bags, so be sure to consider that when you pack. If you are heading somewhere warm and sunny, remember to pack something warm for your travel days. You don’t want to make the trek between the car and the airport terminal near your home in a t-shirt, shorts and flip-flops when it’s 20 degrees and snowing outside. 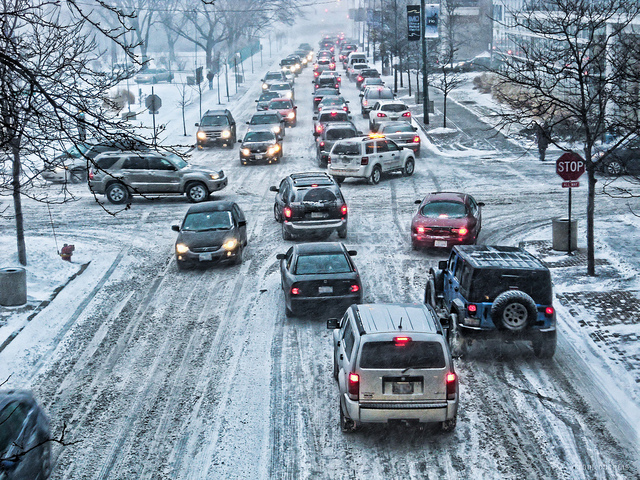 Be prepared for the potential of winter weather hampering your travels. 5. Prepare for bad weather. Winter weather can pack a real punch. If you’re driving, make sure that you keep track of road and weather conditions en route. Bring survival kit items — such as a flashlight, a blanket, water and an ice scraper — in case you get stranded in adverse conditions. If you’re jetting off to a warmer climate, be aware that winter weather can delay or cancel flights. Keep an eye on the weather forecasts and your flight information, and be ready to shift plans if needed. Now, we realize that while taking a few days to get out of town for the holidays is a lot more appealing this time of year than changing your home address. But if you are considering moving in the weeks or months to come— or you know someone who might be — consider working with Garrett’s Moving and Storage. We have more than two decades of experience moving people across the Dallas-Fort Metroplex and across the country. Let us work with you! This entry was posted in Travel Tips and tagged holidays, travel tips, vacations. Bookmark the permalink.